In the first part of our London commuter towns series, we take a look at the popular commuting county of Kent. With idyllic medieval towns and vast areas of green, open space and Areas of Outstanding Natural Beauty, Kent is popularly referred to as The Garden of England, which sounds ideal if you are looking to relocate out of The Big Smoke. Here we take a look at five potential commuter towns that may be right for you if you’ve decided that you want to sell your London home. Interesting Fact: The Beatles’ promotional film for their songs ‘Strawberry Field Forever’ and ‘Penny Lane’ were shot in Knole Park in Sevenoaks. In many ways, Sevenoaks is a microcosm of Kent’s itself. The historical town is a pleasant blend of quaint medieval architecture and modern shopping areas yet it is surrounded on all fronts by rolling hills and striking countryside, including the spectacular North Downs, plus the High Weald of Kent. 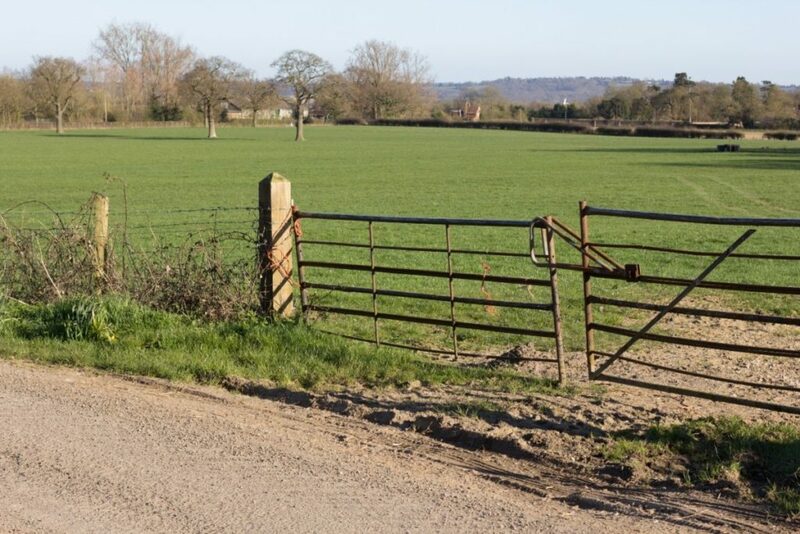 This has resulted in Sevenoaks becoming a popular London commuter town as it offers residents a superb balance of an urban and rural lifestyle. In addition, Sevenoaks is well known as the home to Knole House, which is one of Britain’s largest private residences. Set in a 1,000-acre deer park, this 600-year-old residence is open 365 days a year and is a fantastic family day out. Furthermore, the town’s affluent character lends itself to having several strong school options (both private and state) such as Sevenoaks School (which dates back to 1432) and is part of the G20 Schools group. Another notable school is Walthamstow Hall, which is an Independent Girls School. 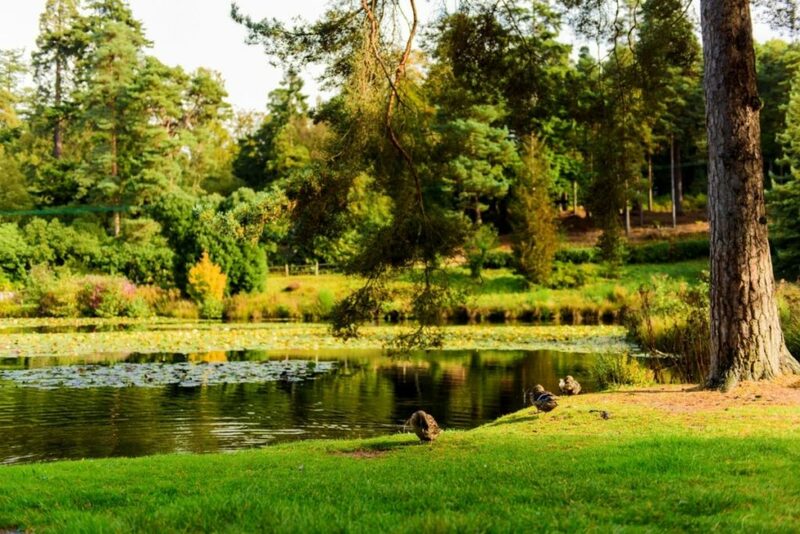 Therefore, while Sevenoaks may not be the most affordable commuter town in Kent, it certainly can provide a family-focussed, outdoors lifestyle amongst stunning natural beauty. Interesting Fact: During Medieval times, Dartford was a popular waypoint for pilgrims on their way to Canterbury and Europe. With close links to London, Dartford is increasingly becoming a popular commuter town, helped in part by its affordability. Its housing and travel prices are modest for Kent with the average house selling for around £282,000 in 2015 according to Zoopla. The town rose to prominence during the Industrial Revolution, being home to England’s first paper and iron mills. Recently, there have been great efforts in regenerating the area and boosted by its proximity to Bluewater Shopping Centre, Dartford is rapidly becoming an exciting up-and-coming area if you are looking at moving out of London. Despite the industrial nature of the town, it features Dartford Heath which covers over 312 acres of open space. Nevertheless, the area has three major rail lines to London as well as plentiful major roads such as the M25 and M20, which makes it an ideal commuter location. Properties in Dartford are also one of the fastest selling in the UK, so it is becoming a wise decision for families to invest here, especially with a strong education base with Dartford and Wilmington Grammar Schools. Interesting Fact: ‘The Canterbury trot’ was the name given to the swift way pilgrims rode their horses in order to reach the city before nightfall. This is where the verb ‘to canter’ originated. 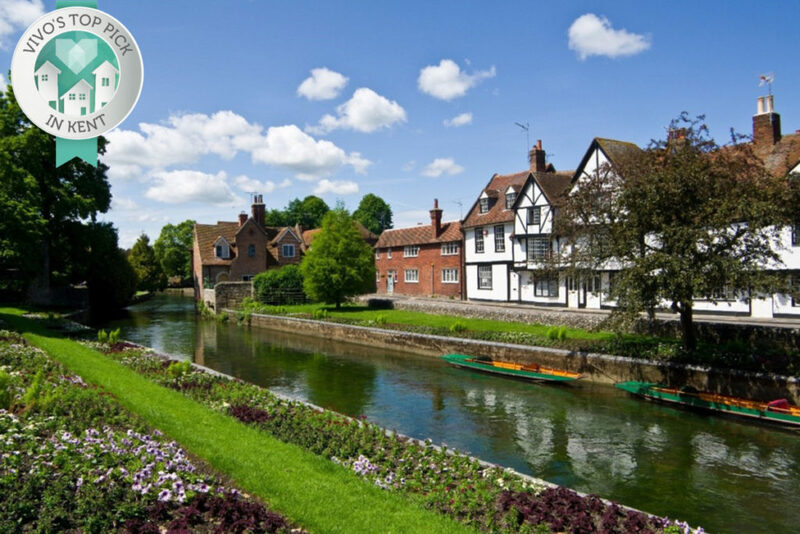 If you’re looking to sell your home in London but still enjoy a city lifestyle, Canterbury may be your ideal commuter spot. A small city of immense historical significance, it is filled with cultural events and places of national heritage such as its world-famous Cathedral. It may be slightly further away from London than other commuter spots in Kent (although closer to its lovely coastline), but travelling from Canterbury West station allows you to reach Charing Cross in under an hour with its high-speed train. Furthermore, this distance from the Capital is reflected with its good value housing prices. Last year, the average semi-detached sold for £267,280, this figure rises to £427,877 if you are looking at to buy a home in the aforementioned Sevenoaks. Another pleasant feature of this Medieval city is its pedestrianised centre which features a multitude of modern shopping options along its narrow streets and timber framed houses. Furthermore, it has a youthful population thanks in part to having two Universities ( the University of Kent and Canterbury Christ Church University) close by. Canterbury’s educational system extends to its strong schools too, which includes The King’s School Canterbury and Simon Langton Grammar School For Boys. Interesting Fact: In October 1895, Tunbridge Wells hosted Britain’s first ever motor show. It featured five vehicles. Royal Tunbridge Wells is a largely affluent area in western Kent, surrounded by green, open spaces, such as Dunorlan Park and the Chalybeate Spring. Perhaps the stand out outdoor feature of this location is its proximity to ‘The Seven Wonders of The Weald’ that features seven Areas of Outstanding Natural Beauty within a 30-minute drive of each other. From the Tudor Chiddingstone Castle to Biddenden Vineyard, it’s a wonderful area to reside in, so much so, the town earned its ‘Royal’ prefix when it became a holiday favourite of Queen Victoria. The town itself is well known for its Georgian style shopping area known as The Pantiles which was designed by architect Decimus Burton in the 18th Century. Frequently ranked as one of the best places to live in the UK, it has an array of quaint shops as well as a regular farmer’s market. For families, the town is blessed with quality schools such as The Skinners’ School and Tunbridge Wells Grammar School For Girls. This area may not be cheap but it definitely a beautiful area to live close to London. Interesting Fact: Gravesend is the final resting place of Pocahontas. 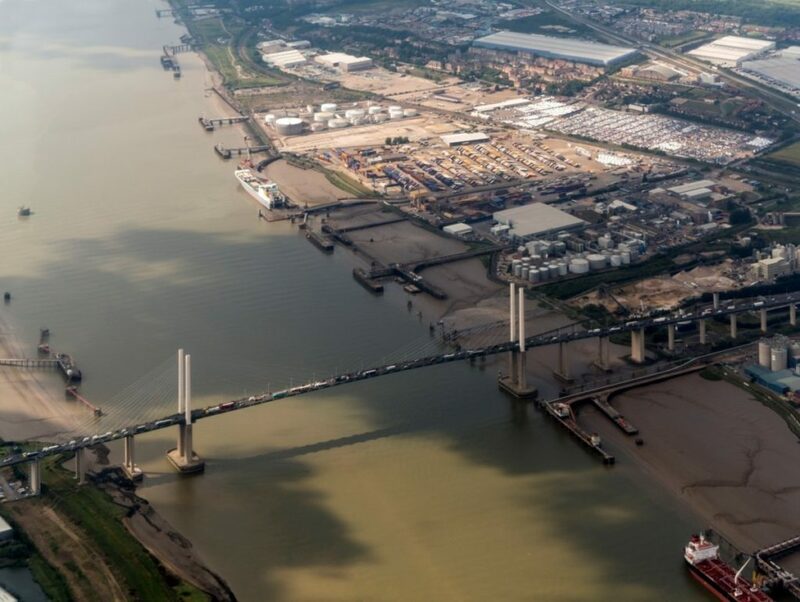 Gravesend has recently been popping up as a favoured London commuter town, especially since it is part of a high-speed train service which allows you to reach central London in under half an hour. Despite its proximity to The Big Smoke, Gravesend has its own unique identity and charm, its coastal location sees it having the world’s oldest surviving cast iron pier which features an array of restaurants and shops. Another big attraction to Gravesend is its affordable housing. Last year the average house sold at £281,328 while the average semi-detached house was sold at an average of £318,978 which is far cheaper than the average cost for the same property type in Royal Tunbridge Wells (£424,313), making Gravesend one of the most affordable commuter towns in Kent. The town is also currently undergoing a £120-million-pound regeneration project, creating new homes which are sure to attract London homebuyers. Despite the changes afoot, Gravesend is already a sound education centre with quality schools such as Mayfield Grammar School and Gravesend Grammar School. Gravesend’s affordability may not last forever, so it is definitely a great area to invest in today. 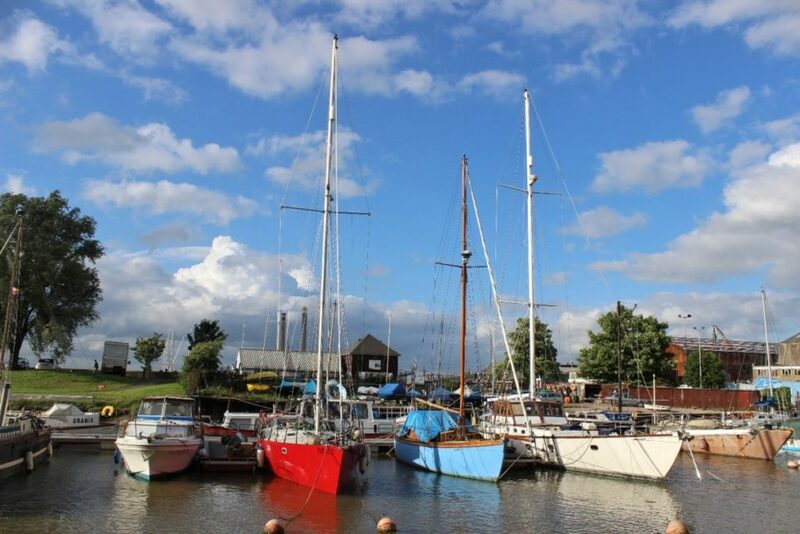 Overall, the county of Kent has a fantastic array of potential commuter towns. Whether it is the rural beauty of Royal Tunbridge Wells and Sevenoaks or the surprising affordability of Gravesend and Dartford, you have plenty of options to suit your individual needs. 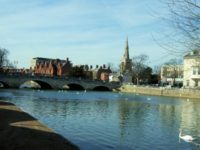 There are numerous benefits of relocating to a commuter town too, the gentler pace of life and cleaner environment often markedly improves your quality of life – plus you can really save some money! With the speed that you can reach London now ever improving, you can now afford to live further away and get out of the ‘rat race’ and avoid the rising rent prices found throughout London. It is for that reason that we have chosen Canterbury as our No.1 Commuter Location in Kent. While not strictly a town, Canterbury is a wonderful cathedral city that has fast transport links, quality schools plus it has a unique culture of its own – you won’t miss London at the weekends either! This package in combination with its surprisingly affordable house prices is reason enough to sell your London home and commute from Kent!